Turkishceramics today announces an increased presence at MIPIM, the international property exhibition in Cannes, held from Tuesday 14 to Friday 17 March. With the support of the Turkish Ministry of Economy, Turkishceramics has recently announced its participation in the new “Turkish Design Centre”, a 1650 sqm space in Clerkenwell, London. This move coincides with Turkey being ranked as one of the top five ceramic tile and ceramic sanitary ware exporters of the world. By the end of the 2016, Turkey reached more than $500 million ceramic tiles exports and more than $200 million ceramic sanitary ware exports. Turkey is a leader in the global ceramics industry today with an abundance of natural resources, high quality ceramic products and innovative design. Turkishceramics’ aim for MIPIM is to connect with architects, developers, contractors, and sector professionals, particularly in the key target markets as UK and USA. 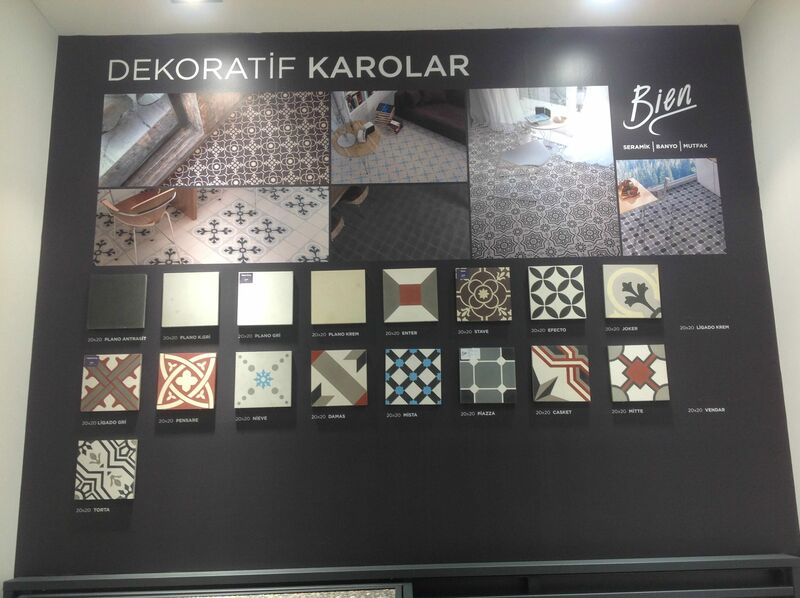 Turkishceramics is also looking into growing the organisation’s presence in the German market, which is the number one exporting country for Turkey both in ceramic tiles and sanitary ware products. This entry was posted in Home on 2017/03/10 by admin. 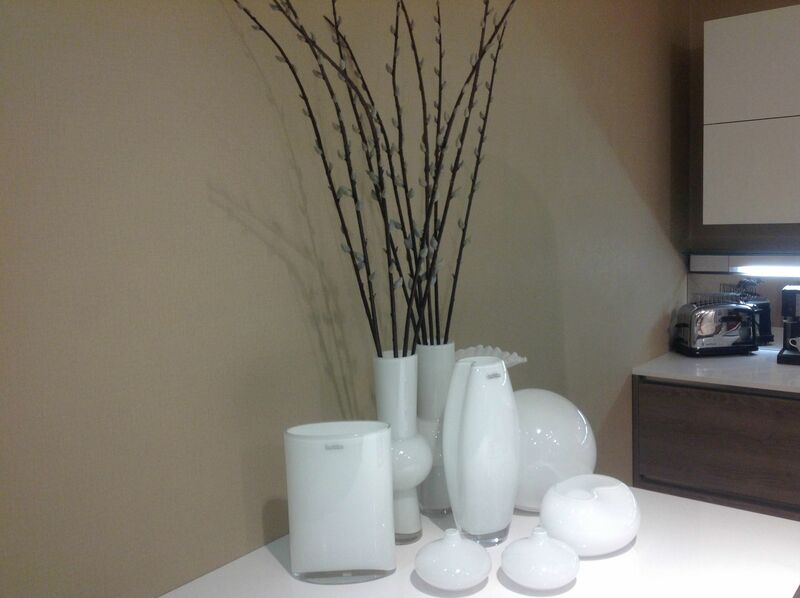 UNICERA, the cornerstone of the ceramics, bathroom, kitchen industries, is gaining increasing momentum each year. 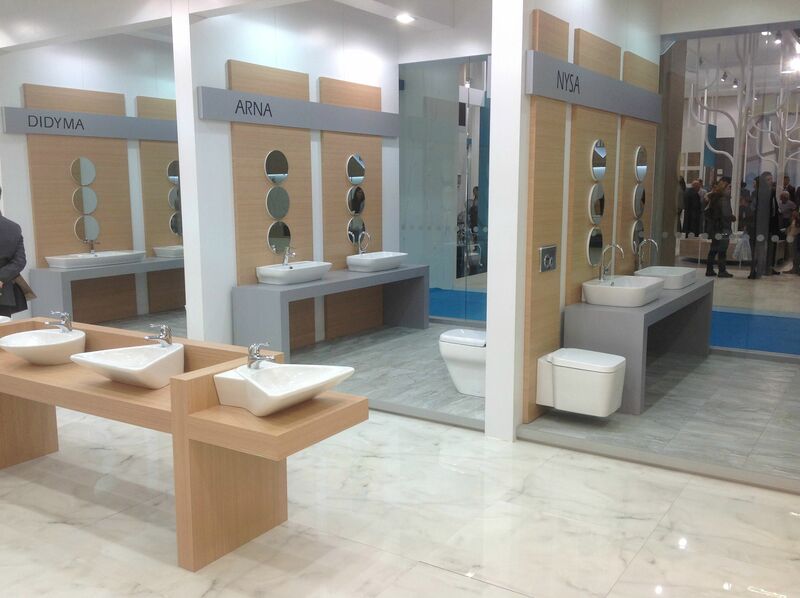 The International Ceramic, Bathroom and Kitchen Fair, held by Tüyap in association with the Turkish Ceramics Federation (TSF) and Trade Association for Sanitary and Building Supplies (TİMDER), is currently the second largest international fair in the industry. Whilst preparing for the 27th grand meeting between February 24th and 28th, 2015, we wanted to share with you the highlights of the previous year. The UNICERA fair has been bringing the leading players in ceramics, bathrooms and kitchens together for over 25 years and – having witnessed a 50% increase in international visitors over the last four years – is taking firm steps forward to becoming the new leader in the sector. Due to high labour and energy costs in Europe, investments in manufacture have begun to steer towards more cost efficient countries. As a result, Unicera continues to gain global recognition for its promotion of Turkish ceramics, bathroom, and kitchen industries – which minimize imports and maximize domestic exports -and has benefitted greatly from the increasing competition in local and overseas markets for efficient manufacturing options. In 2014, Unicera provided an integral platform for business building and networking – both for buyers and sellers – in Europe, Near Asia, Russia, Middle East, Africa and Turkic Republics. Procurement groups from 28 countries participated at UNICERA in 2014, making the event critical for buyers in the ceramic industry. There was particularly great interest from Sub-Saharan Africa, where a population of over 850 million is experiencing rapid growth due to increasing energy resources. There was an impressive range of products displayed, including ceramics, granite, marble, natural stone, mosaic, vitrified products, armatures, bathtubs, showers, bathroom furniture and accessories, towel warmer panels and decorative radiators, sauna and Turkish bath equipment, ceramic processing technologies, and kitchen furniture and components. An escape to the “organic”- with tiles, walk-in showers, spas, whirlpool baths, colors, shapes, lines and designs all reflecting nature. Latest technologies such as HD digital printing, digital products, eco-friendly fixtures and smart gadgets. If you are a professional from the sector, mark your calendar for 24th-28th February 2015, because this year the exhibition is planned to cover 11 halls and 98,000 sqm of indoor exhibition space. The CERAMICTECH Ceramic Processing Technologies specialty section of UNICERA further expands the scope of the event with chemicals, raw materials, ceramic machinery, machinery spare parts and components. This entry was posted in Home and tagged 26th unicera, ceramic industry, international ceramics fair, landofceramics, sanitaryware fair, turkishceramics, unicera 2014, unicera fair on 2015/01/22 by admin. 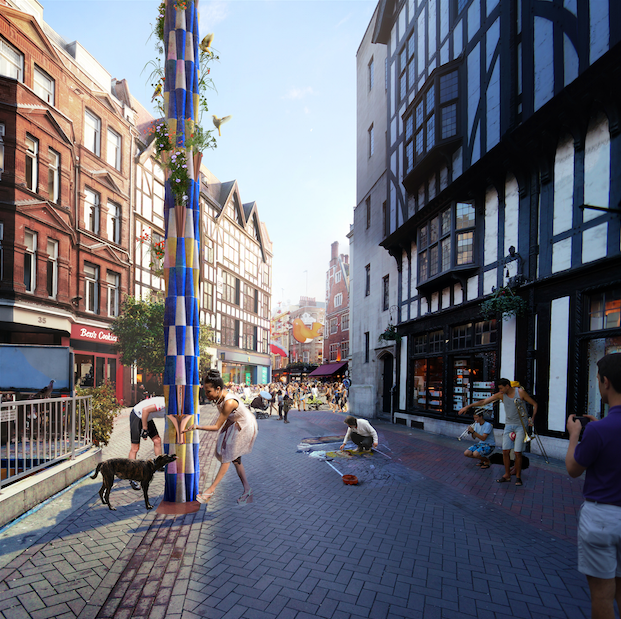 In May 2014 at Clerkenwell Design Week we presented Tile Mile, a tiled passageway by Turkishceramics and design studio russ + henshaw. The playful passage caught the attention of visitors due to the parallel inward-facing mirrors that allowed them to experience images of their infinite reflections. Many people must have agreed that Tile Mile was a striking and original piece of design because it is the gold winner of the prestigious 2014 London Design Award in the Installation, Display, Exhibit & Set Design Category! Among hundreds of participants from world renowned design studios and brands, design100 awarded 57 winners across 30 categories. 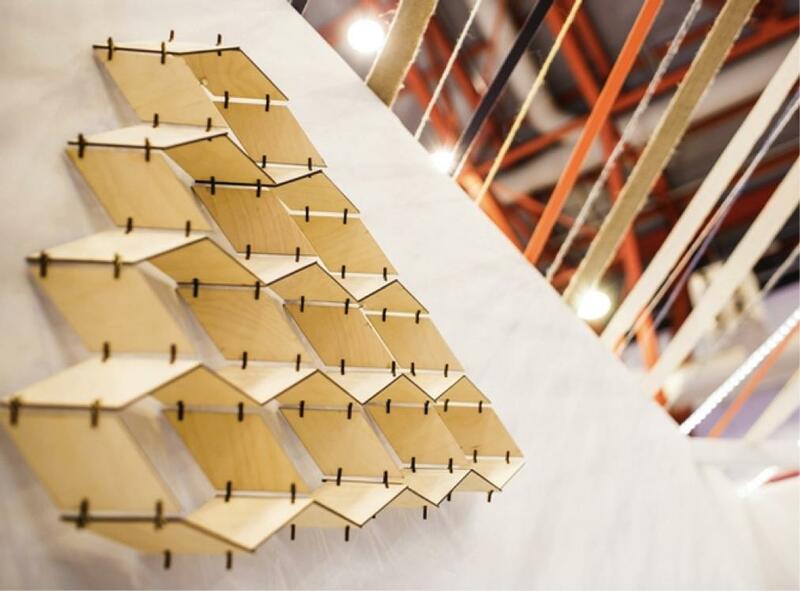 The Installation, Display, Exhibit & Set Design Category celebrates innovative and creative design for a temporary building or interior, with respect to their materials, fixtures, finishes, signage and traffic flow. The awards were open to any designer, design company, commissioner of design or student, and nominations were submitted online and reviewed to ensure they meet the criteria. 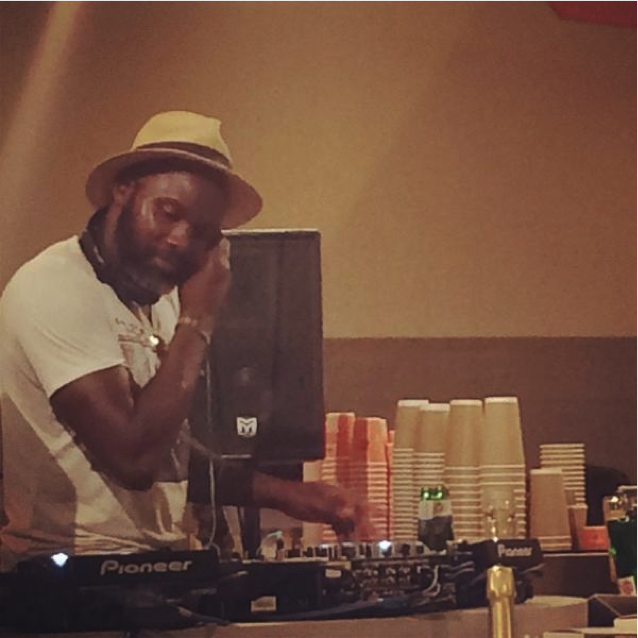 Subsequently the nominations were made open for public viewing and rating. The opinions of the advisory panel, members of the design industry and people from the design marketplace were taken into consideration in deciding the overall category winners. What does it mean to be an award winner? First of all, it offers a distinct competitive advantage and provides recognition of excellence to those offering products and services. The design100 awards also offer a unique network for business opportunities. The installation at St John’s Gate during Clerkenwell Design Week 2014 was formed of over 50 sqm of parallel mirrors on the inner walls of the arched landmark, and over 7,200 tiles on the floor, to create the optical illusion of an infinite reflection. The versatility of the installation challenged perceptions of space and pushed the boundaries of traditional tradeshow design. Maybe the biggest success of the installation was that it attracted not just festival participants but also the general public, reminding them of the beauty and fun within the city that they might not notice on a daily basis. and the double vaulted arch of the St. John’s Gate, reminiscent of the illusions at the Basilica Cistern in Istanbul. Of course it wasn’t easy installing Tile Mile. The biggest challenge was the fact that the installation was constructed around a 500 year old structure, the existing building needing to be left intact. By collaborating with engineers and specialist fabricators, russ + henshaw were able to overcome these challenges throughout the design and construction process. To minimise carbon footprint, Tile Mile was completely fabricated in London within 12 miles of the site. The fabricators and their suppliers were London based, promoting local enterprise and traditional craftsmanship. With the exception of the tiles, all materials were locally sourced and the benefit of prefabrication meaning that all of the elements could be easily disassembled and returned to the factory for reuse and recycling. To strengthen the design economy and increase awareness about the importance and unquestionable benefits of good design, design100’s design award program in 2015 has grown to 7 cities: New York, San Francisco, Chicago, London, Hong Kong, Melbourne and Sydney. We are looking forward to further achievements by Turkishceramics thanks to our commitment to design, functionality and innovation. This entry was posted in Home and tagged awards, ceramic, Clerkenwell Design Week, landofceramics, london design awards, tile mile, turkishceramics on 2014/12/23 by admin. Would you dare to miss all these? In this regard, his year as well, between 17-20 November, at Dubai World Trade Center, many visitors will have the chance to see innovative products from Europe, America, Asia, Africa as well as Middle East, compare features and prices of these products, meet face to face with new business partners and build solid relationships in person rather than email. Turkey gives great importance to Arabian Gulf, and therefore gives support through “Expotim” as being the Platinium sponsor. Expotim is authorized by the Turkish Ministry of Economy to organize exhibitions abroad and deliver national participation in international exhibitions. Along with many other Turkish companies, Turkishceramics, the promotion group for ceramic manufacturers and exporters in Turkey representing over 30 individual companies is also be there, hearthly welcoming you at Stand Sheikh Rashid B167 and answering your inquiries. “For the first time this year, the show had a waiting list” says the Group Event director Andy White, revealing the growing importance of the show. 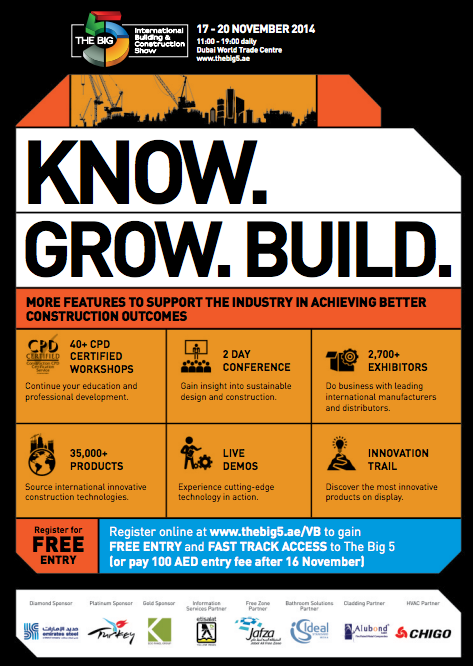 At the same time as the show, PMV Live and Middle East Concrete are co-located with The Big 5. So you will have more than The Big 5. There will also be live Demonstrations at The Big 5: Be sure to visit The Etisalat Yellow Pages Live Demonstration Theatre. 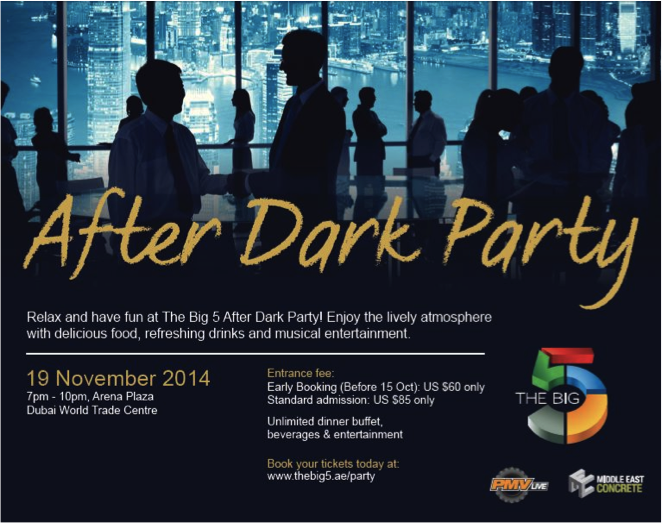 Fun and socializing is not forgotten, The Big 5 After Dark Party takes place on 19 November 2014 from 7pm – 10pm at the Dubai World Trade Center, Arena Plaza for all exhibitors, visitors and press. If you are a construction professional who is involved in the commissioning, design and building stage of a project you should visit The Big 5. Go and see the latest products from Europe, America, Asia and Australia as 70% of our exhibitors are international. Continue professional development through free certified workshops and training courses. And enjoy mild weather of Dubai. What else do you want? This entry was posted in Home and tagged construction product suppliers, construction professional, international building and construction show, landofceramics, The Big 5, The Big 5 exhibition, turkishceramics on 2014/11/20 by admin. This year between 13 – 21 September, The London Design Festival was held for the 11th time to celebrate and promote London as the world’s design capital and as the gateway to the international creative community. 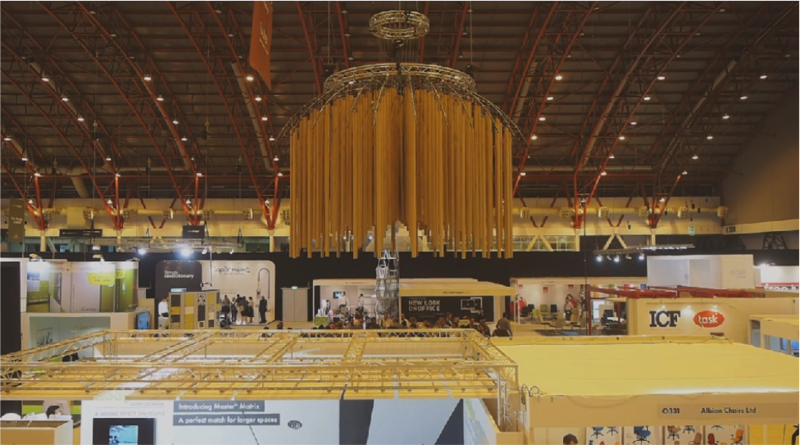 The cornerstone event of the London Design Festival, 100% Design was celebrating it’s 20th anniversary between the 17-20 September in Earls Court, exhibiting there for the last time before moving to its new home of Olympia London in 2015. Steve Jobs said that “Design is not just what it looks and feels like. Design is how it works”. This year at 100% Design Show, leading names in the design and creative industry – from Heal’s and Vitra, to Jaime Hayon, El Ultimo Grito and Nina Tolstrup presented a great range of beautiful yet functional designs. 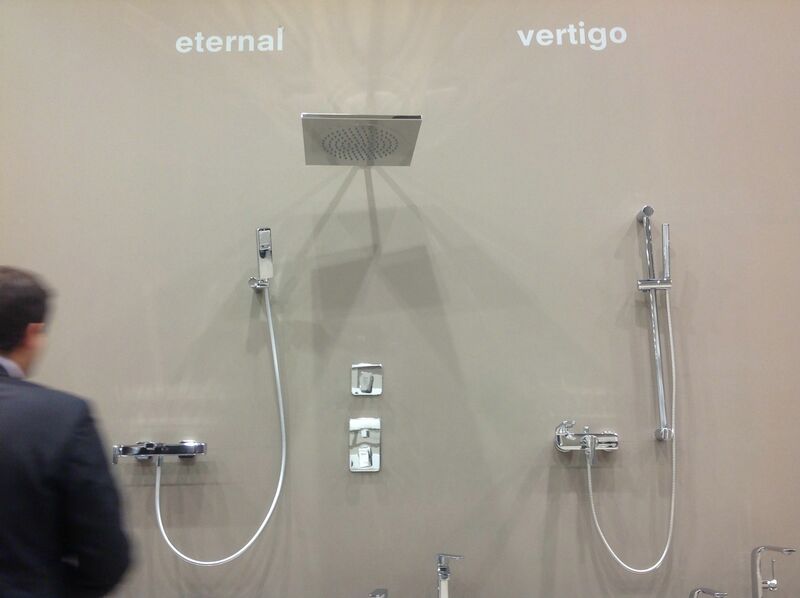 But that was not all 100% Design had to offer! 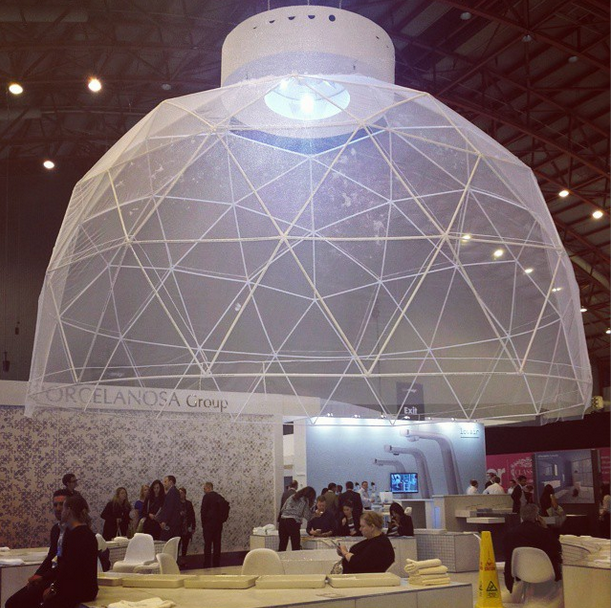 The Foam Dome inthe Kitchen and Bathroom Hub 2014, sponsored by Turkishceramics, caught the attention of all passing visitors. vPPR Architects designed the dome to focus on themes of cleanliness and purity, the foam reminiscent of luxury bubble baths and indulgent spa experiences. 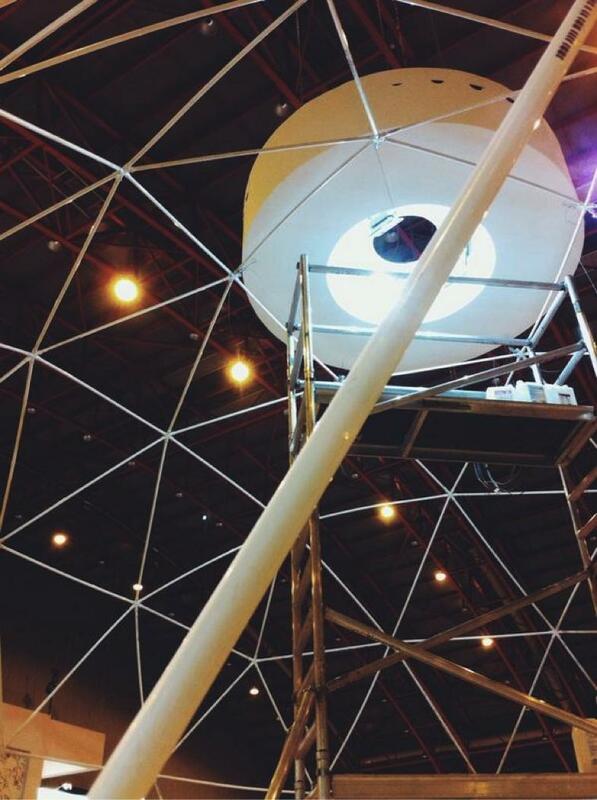 Piles of foam cascaded down the side of the dome at regular intervals in to an interior specifically fitted out with Turkishcermamics products, creating a playful, almost dreamlike atmosphere. Passers-by couldn’t resist interacting with the foam, throwing it in the air and making soapy wigs. 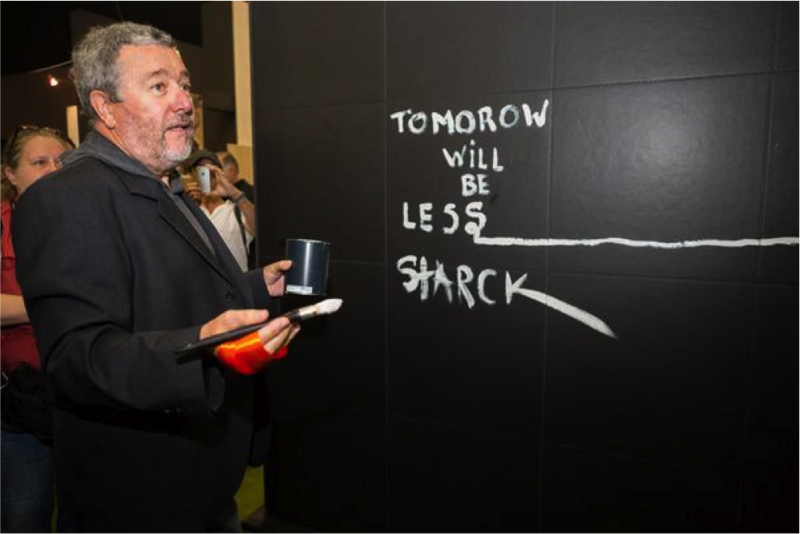 Philippe Starck opened the show on 17th September with the unveiling of Flexible Architecture, his new ceramic tile collection for Ceramica Sant’Agostino. 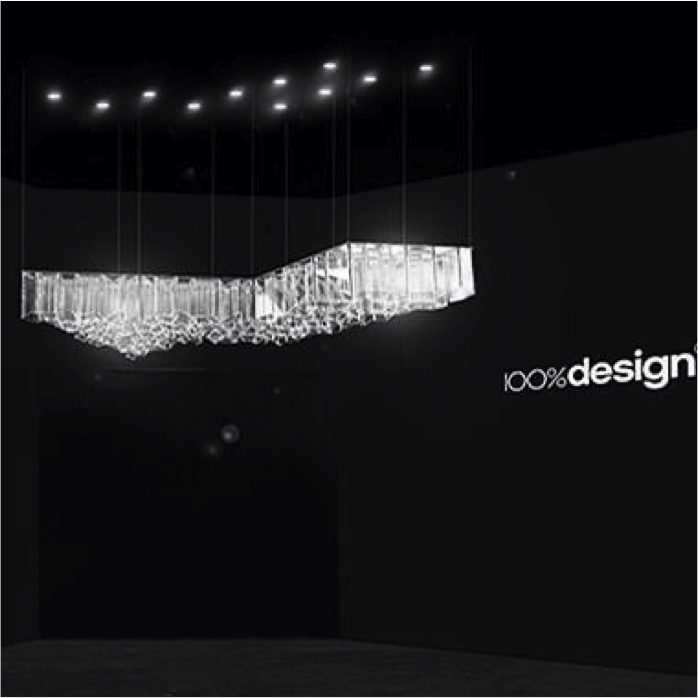 Upon entering the show visitors were greeted by the sparkling ICE Chandalier by designer Daniel Libeskind for Lasvit. 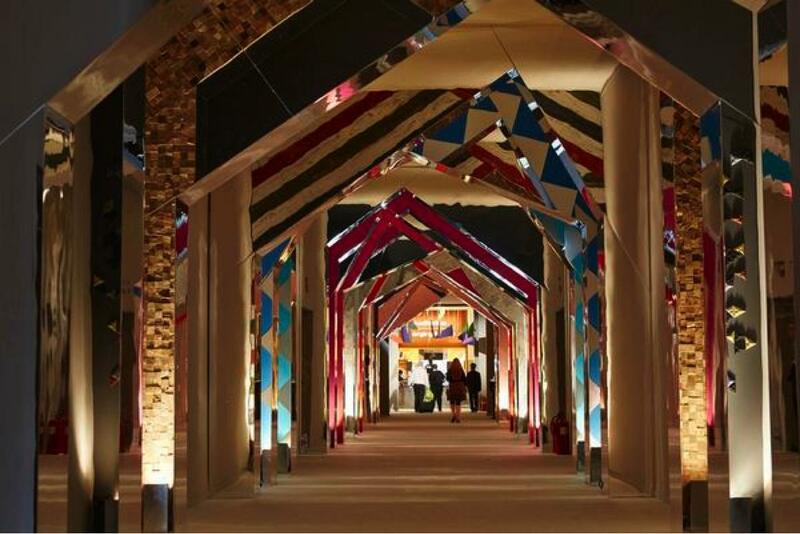 Past this was the stunning and colorful kaleidoscope entrance tunnel by Studio Design UK. The 60 meter tunnel leading to the heart of the show, featured some top material suppliers including KAZA Concrete, Havwoods, Blackburn Metals, Rimex Metals, Formica, Stone Interiors, Eley Kishimoto, Timorous Beasties and OIKOS. 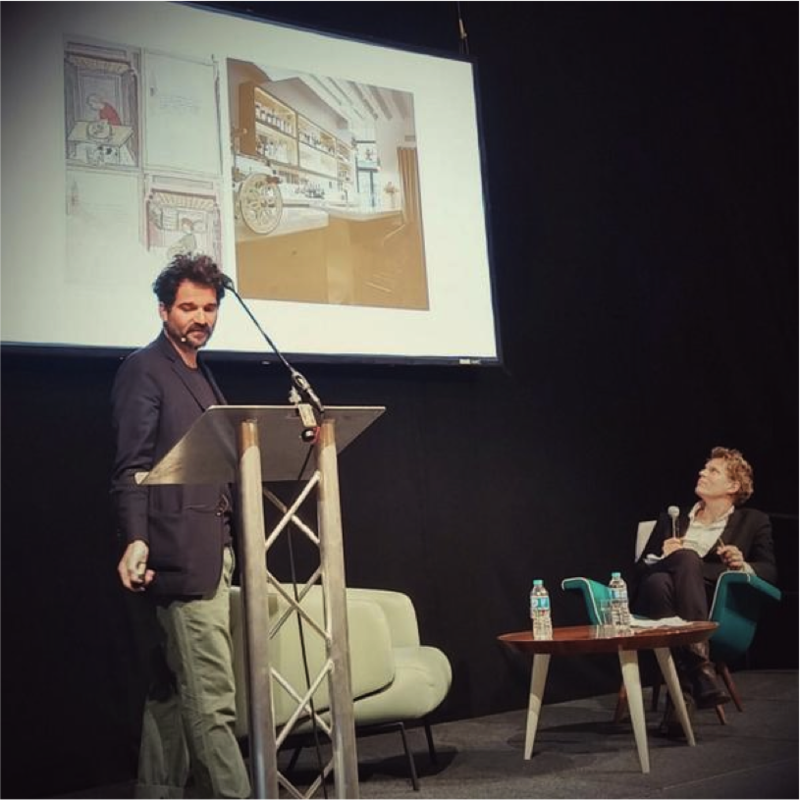 Some of the world’s most notable design names such as Philippe Starck, Jaime Hayon, Ross Lovegrove and Barber Osgerby among others inspired the visitors with their talks. The interiors hub was also a hive of activity with a range of events for all ages. One of the most popular spaces was the Maker Carousel by Mette where for four days visitors from all ages took part in workshops and presentations, with the collaboration of Shape Studio, OpenDesk, Hirsch&Mann, Maker Library Network, BeatWoven, Florrie+Bill, Makers Cafe, Bee Very Creative, RepRapPro, Heal’s Discovers, OIKOS, 3Doodler and Shapeways. The great iAlter by NBBJ hovered above the Workplace hub like a cloud. It flexed in response to the flow of visitors. iAlter, which was inspired by kinetic sculpture and the complexity of the computer-generated design algorithms used in architectural design, was meant to offer a space for networking, and a breather in the modern office environment. 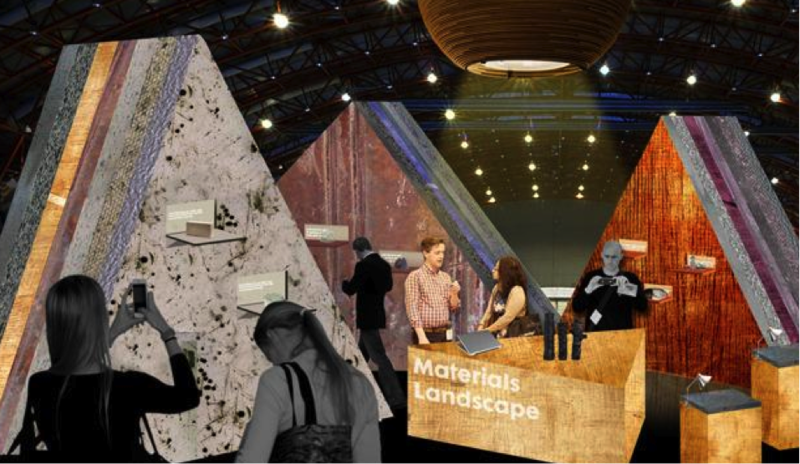 In the Eco, Design & Build Section sponsored by Armourcoat, Thomas Matthews designed a space for SCIN Gallery to promote the latest in material trends. Visitors had the chance to handle objects and materials, ask to ask questions about their production. Experts talked about varied projects from biological 3D printing with mushrooms to up-cycling car parks into bars and imagining a future without waste. This entry was posted in Home and tagged 100 % Design Show, 100% Design, 100% Design 2014, contemporary design show, Foam Dome, landofceramics, London Design Festival, material trends, Turkish ceramic, Turkish ceramic products, turkishceramics on 2014/10/27 by admin. TURKISHCERAMICS HAVE RESERVED A SEAT FOR YOU AT THE BEST EVENTS OF CERSAIE! 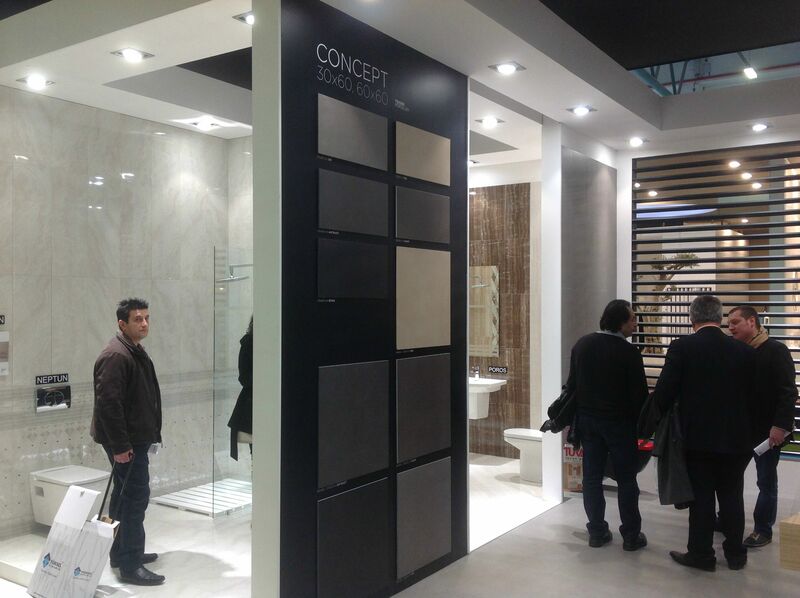 Cersaie 2014 is off to a great start as per usual, and amongst the many international exhibitors, Turkish companies are looking to make a strong impression. It’s an excellent opportunity for people to be informed about the latest materials, their evolving production techniques and the changes they are bringing to the bathroom landscape. Turkishceramics are offering you the chance to catch your breath and refresh during the building industry’s most important ceramics exhibition, with a program of unmissable events. First of all we’ve reserved a seat for you on the evening of the 24th of September for what will no doubt be one of the highlight of this year’s exhibition. Turkishceramics are proud to present a long awaited collaboration between two musical greats. World famous Turkish pianist Kerem Görsev and versatile percussionist Ayhan Sicimoğlu, known for their technical and ambient style of play, are taking to the stage together with their latest musical project. Performing Jazz and Latin songs, they will be accompanied by elegant Cuban vocalist Suami Ramirez as well as two familiar and highly popular faces of the Turkish Jazz scene, drummer Ferit Odman and double bassist Kağan Yıldı of the Kerem Görsev Trio. Make sure you save the date for this special Turkishceramics event. “EACH SETTLEMENT OF MEN DEPENDS ON A SUFFICIENT WATER SUPPLY.” ANON. Running concurrently with Cersaie this year, the heart of Bologna’s historical centre comes alive for the 3rd time with the Bologna Water Design exhibition, celebrating both water and design. Turkishceramics is participating in Bologna Water Design with the presentation of the spectacular water kiosk project organised by The Architects’ Journal and Turkishceramics and designed by leading British architects. Before detailing the Kiosk Project we’d like to share some striking facts about water which will also be presented to the visitors at various exhibitions, installations or events at BWD. Water was first bottled and sold by Hiram Ricker in Poland Spring, Maine, USA in 1845. It was sold as a cure to kidney ailments, but today it is acknowledged that in the developed world bottled water is no healthier than tap water. For instance, in the U.K., bottled water is subject to far less stringent safety tests than tap water, making it more likely to be contaminated or become a source of infection. Bottled water costs on average 500 times more than tap water. Yet the rate of consumption of bottled water more than quadrupled between 1990 and 2005 (1). Why is the sale of bottled water still increasing? Convenience? Taste? Advertising? Fashion? 200 billion bottles of water are sold around the world each year (2). But it is not just the manufacture and transportation of bottled water that is harmful. Ever wondered where that bottle you just threw away will end up? Plastic does not simply disappear, it takes over 400 years to degrade. The plastic water bottle you drank from today won’t degrade until 2414. That’s when your great-great-great-great-great-great-great-great-great-great- great-great- great-grandchildren will be alive. 10% of the plastic manufactured worldwide ends up in the ocean. Today, every square mile of the ocean has over 46,000 pieces of plastic floating in it. This plastic is swept by currents in the ocean creating huge garbage patches. The National Science Foundation has suggested that one of these patches is nearly as large as the continental U.S (6) and is still growing. Bottled water may be convenient, but it is expensive, bad for the environment and no healthier than tap water. What did we do before bottled water? Wells have been culturally significant for thousands of years. They were once at the heart of every village, sustaining daily life. The world’s oldest known well, located in modern-day Cyprus, dates back to 7500 BC. The village well created a meeting place – a place to both collect water and socialize. Drinking and gathering developed hand in hand world-over, offering a place to socialize and rest like the Turkish kiosk, the British pub or the modern-day office water cooler. In Europe, modern day pumping and water systems have made water wells redundant, but drinking fountains remain a social hub of many villages, towns and cities. Yet there are many dry spots in most European cities where you can’t find a public water system to fill your bottle, so there is still some way to go. The KIOSK exhibition, organised by architecture magazine the Architects’ Journal and Turkishceramics promotion group, features Ottoman inspired designs by some of the world’s most talented architects. This includes 2012 London Olympic Games architects Zaha Hadid Architects and Hopkins Architects, Eric Parry Architects, ADAM Architecture, Studio Weave, and Google HQ architect Allford Hall Monaghan Morris. 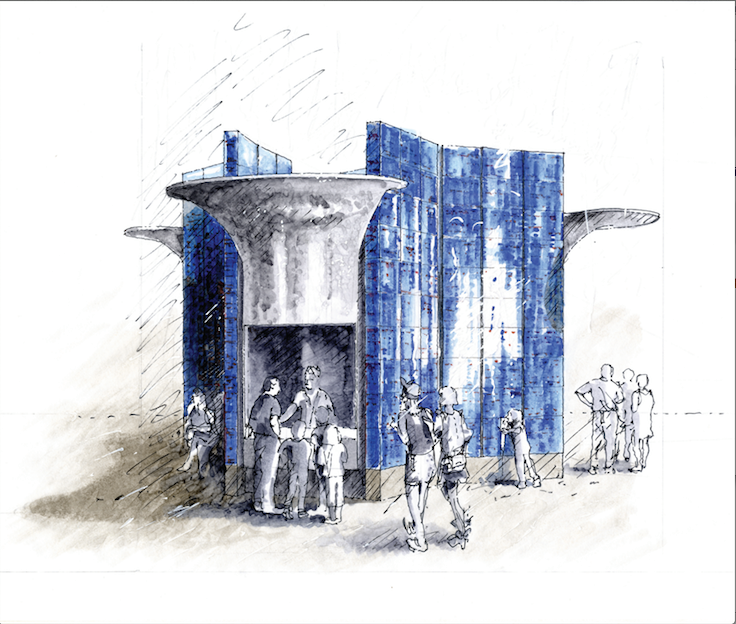 The architects were challenged to design a drinking water dispensing structure that incorporates ceramics and considers the architectural history of the kiosk. Rory Olcayto, Acting Editor of the Architects’ Journal will host a seminar with architects who participated in the KIOSK project on the 24th September at 16:30, titled ‘Kicking the bottle’. A drinks reception will follow the discussion. Please celebrate with us the launch of the KIOSK exhibition in Bologna and join our little pinning game, to decide where to place the 6 water kiosks in Bologna together with the visitors. This entry was posted in Home and tagged Ayhan Sicimoğlu, bologna, Bologna Water Design, BWD, cersaie, cersaie2014, Events at BWD, Events at Cersaie, international exhibition of ceramic, Kerem Gorsev Concert, landofceramics, Turkishceramics companies, Turkishceramics Concert, Turkishceramics Event, water kiosk project on 2014/09/24 by admin. Cersaie is the most important and prestigious international exhibition of ceramics for the building industry. Every year thousands of architects, designers and professionals in the sector gather to share the latest trends and innovative products manufactured with new techniques as well as create new business opportunities. The main sectors are ceramic tiles, sanitary ware, bathroom furnishings, fireplaces, ceramic stoves, tiled kitchens, raw materials and equipment for ceramics, materials and tools for installation, and showroom displays for ceramic products. 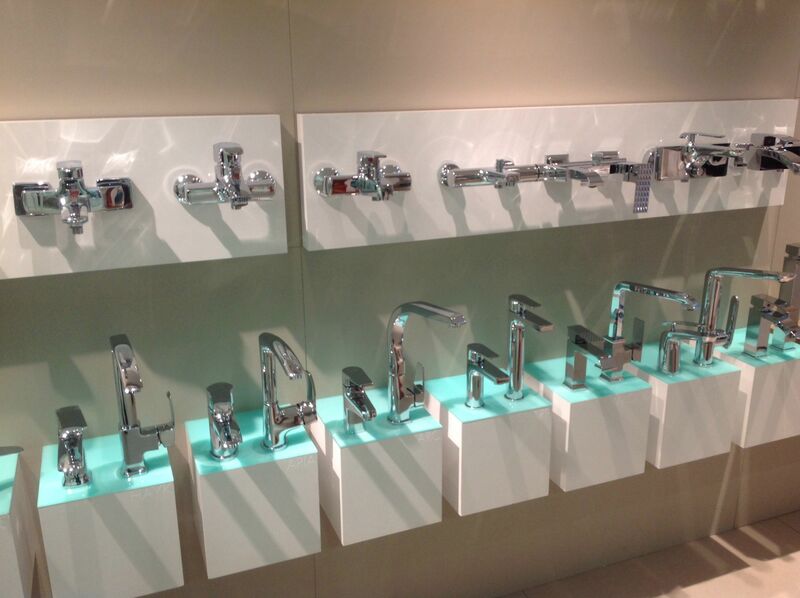 Although the economic hardships around the world have impacted various trade shows and conferences, Cersaie did not go through a decreasing interest in 2013. The exhibition was visited by more than 100,000 visitors from 157 different countries to visit the stands of 900 exhibitors, including established brands alongside the smaller players from 35 different countries. Compared to the 75,563 visitors of the previous year, this further demonstrates Cersaie 2013 as being the most important and renowned international exhibition of ceramics. Cersaie, which is usually known exclusively for the ceramic trade, had more and more brands turning away from tradition and investing in new solid surface materials. 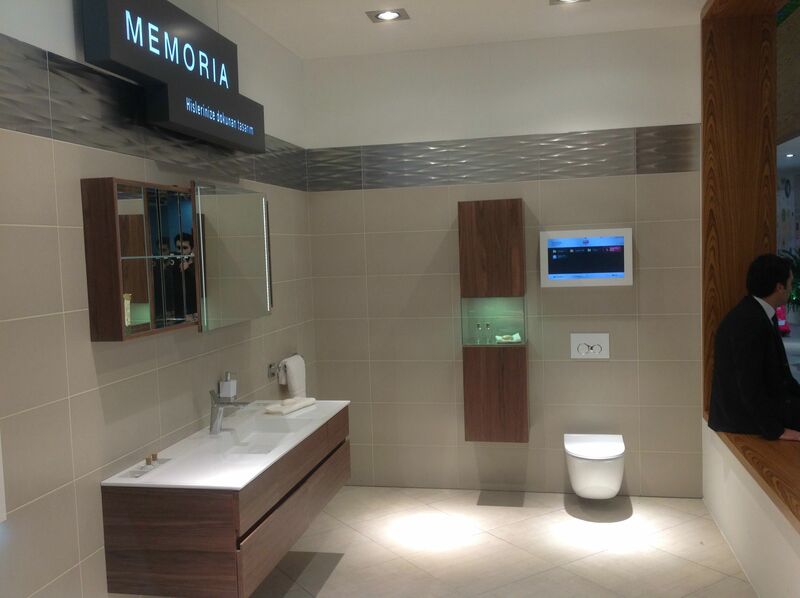 Cersaie 2013 showed us how new materials and their evolving production techniques will progress and change the bathroom landscape. Turkishceramics is pleased to confirm its attendance at the 2014 edition of Cersaie as well as the individual presence of the leading Turkish ceramics companies. It is an opportunity for you to meet Turkish ceramics companies, who are often working in collaboration with well-known designers, setting trends, providing creative and environmentally friendly products and latest technology in ceramic manufacturing. Please come and visit contemporary Turkish ceramics companies with wise visions, exquisite designs, superior quality, high prestige products and collections in line with the trends and customer demands from 22th to 26th September. Turkish ceramics companies will be more than pleased to meet you and discuss your suggestions and requirements. This year, at the same time as Cersaie from 22 to 27 September, the heart of Bologna’s historical centre comes alive for the 3rd time with the Bologna Water Design exhibition, presenting a new and exciting edition this year to celebrate both water and design. 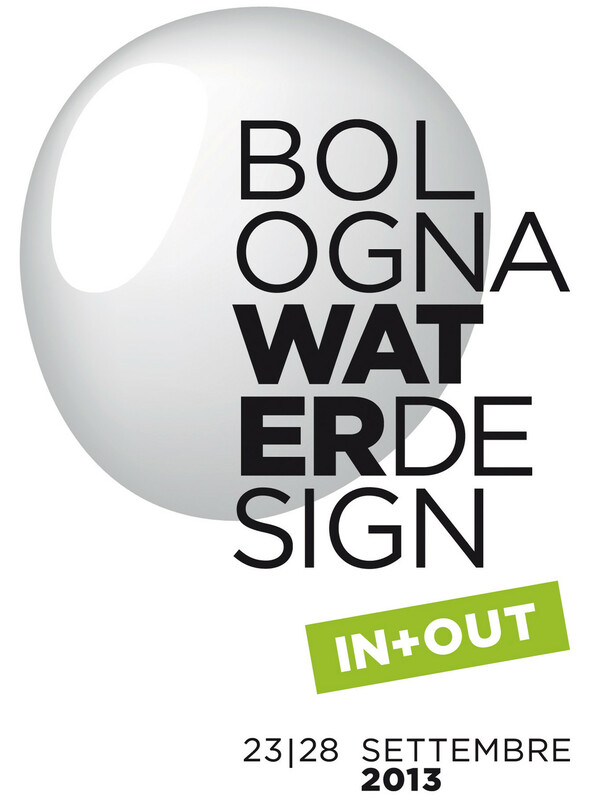 Bologna Water Design 2014 will be situated in the city centre at the remarkable historic location of the Ex Ospedale dei Bastardini, to promote creative events and projects tied to the world of water. This year’s event follows the great success of the 2012 and 2013 editions, which were each attended by over 15,000 enthusiastic visitors, attracting both professionals from the sector and also an inquisitive and attentive public. 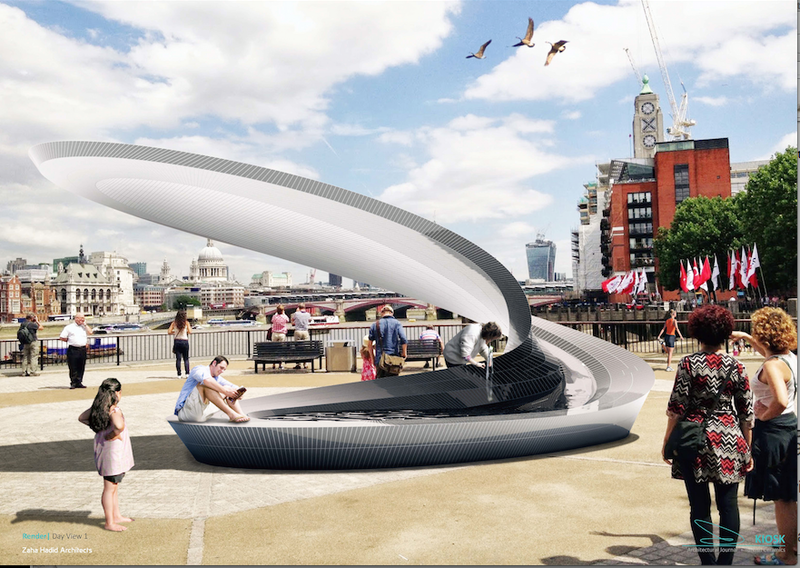 TurkishCeramics is participating in Bologna Water Design with the presentation of the spectacular water kiosk project organised by The Architects’ Journal and Turkishceramics and designed by leading British architects. The Kiosk exhibition features Ottoman inspired designs by some of the world’s most talented architects, including 2012 London Olympic Games architects Zaha Hadid Architects and Hopkins Architects, Eric Parry Architects, ADAM Architecture, Studio Weave and Google HQ architect Allford Hall Monaghan Morris. 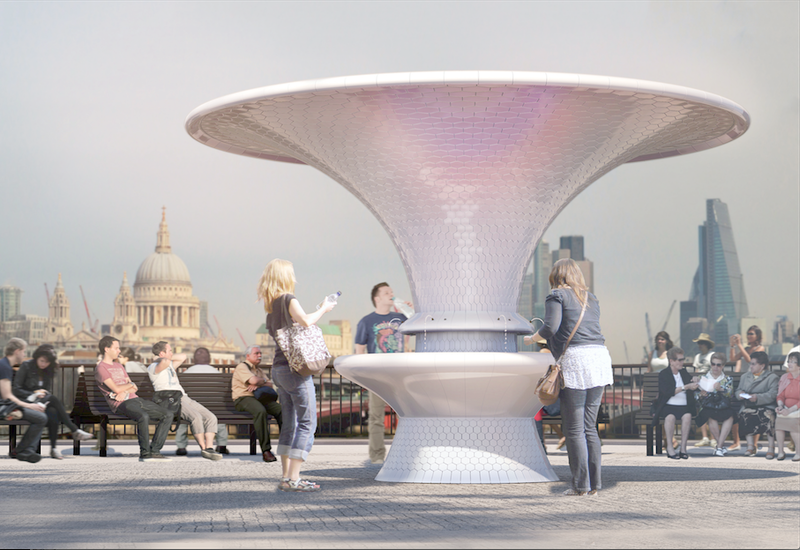 The architects were challenged to design a drinking water dispensing structure that incorporates ceramics and considers the architectural history of the kiosk. A must see. The Bologna Water Design cocktail reception on the evening 24th September is a good opportunity to meet leading architects who participated in the Kiosk project. After the reception you are invited to relax at the public jazz concert at Piazza Maggiore, hosted by Turkishceramics and featuring the world renowned Turkish performers Kerem Görsev Trio and Ayhan Sicimoğlu. It seems it is going to be a busy September. 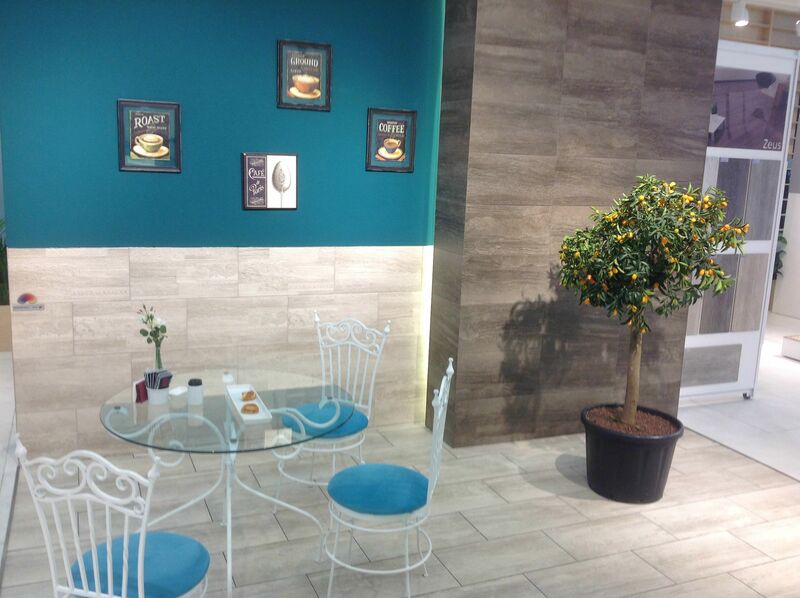 This entry was posted in Home and tagged Bologna Water Design, BWD, cersaie, international exhibition of ceramic, turkish ceramics, Turkish ceramics companies, water kiosk project on 2014/09/08 by admin. The KIOSK exhibition, organised by eminent architecture magazine the Architects’ Journal and Turkishceramics promotion group, features Ottoman inspired designs by some of the world’s most talented architects including 2012 London Olympic Games architects Zaha Hadid Architects and Hopkins Architects, Eric Parry Architects, ADAM Architecture, Studio Weave and Google HQ architect Allford Hall Monaghan Morris. 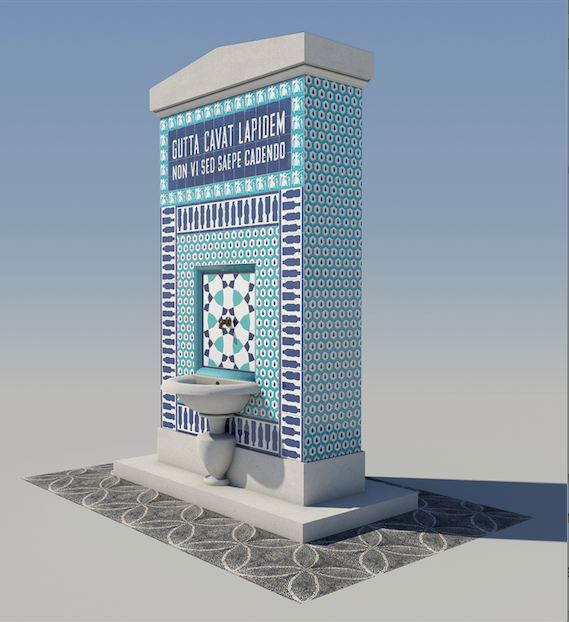 The architects were challenged to design a drinking water dispensing structure that incorporates ceramics and considers the architectural history of the kiosk. 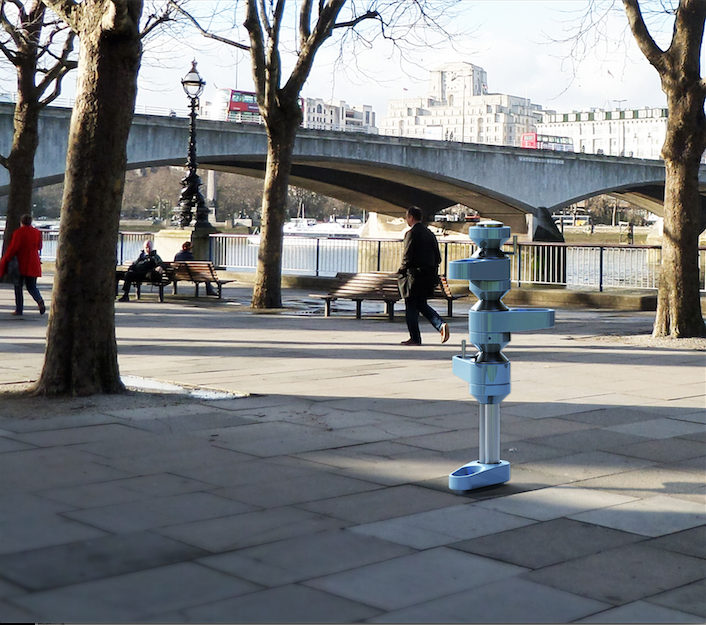 Rory Olcayto, Acting Editor of the Architects’ Journal will host a seminar with architects who participated in the KIOSK project on the 24th September at 16:30, titled ‘Kicking the bottle’. A drinks reception will follow the discussion. 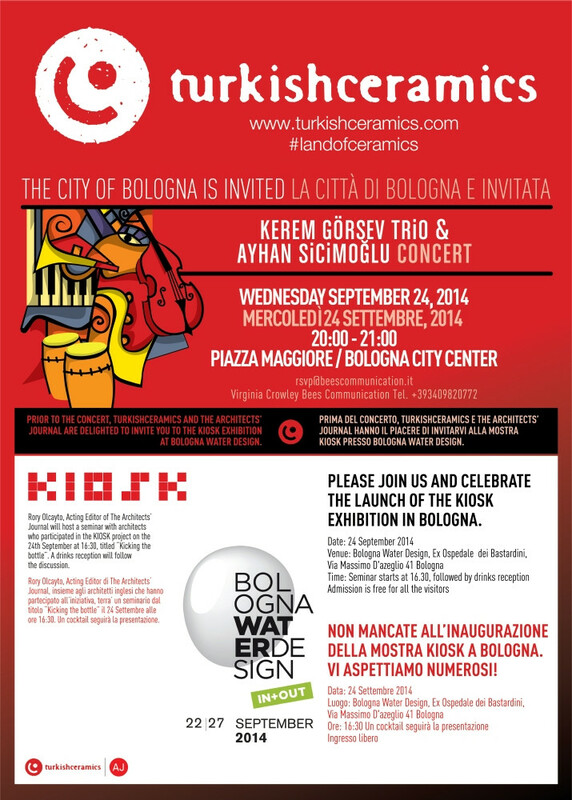 Please join us and celebrate the launch of the KIOSK exhibition in Bologna. 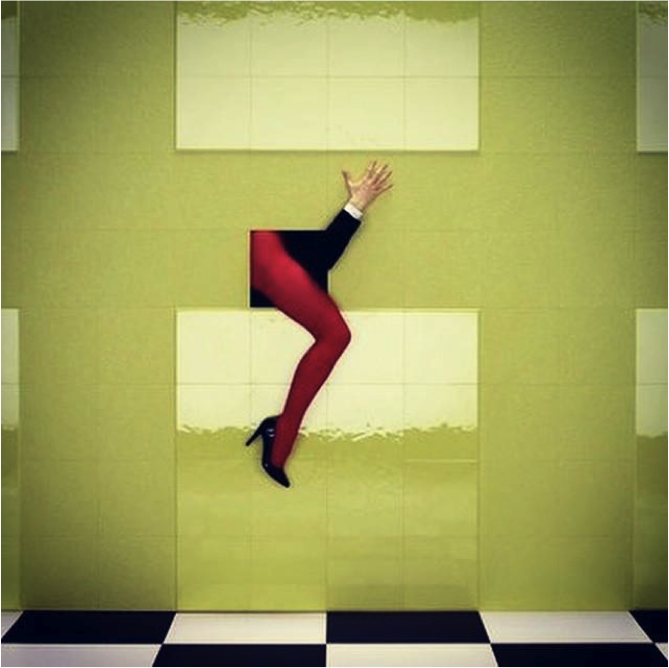 This entry was posted in Home on 2014/09/04 by admin. Cuban vocalist, Suami Ramirez. Görsev and Sicimoğlu will also be joined by two familiar and highly popular faces of Turkish Jazz scene, Kerem Görsev Trio band members; drummer Ferit Odman and double bassist Kağan Yıldız. Alacahöyük is the site of a Neolithic and Hittite settlement and is an important archaeological site. It is situated in Alaca, Çorum Province, northeast of Boğazkale where the ancient capital city Hattusa of the Hittite Empire was situated. 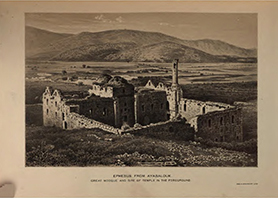 The work revealed considerable local wealth and achievement even before the time of the Hittites, with the earliest occupation dating from the 4th millennium BC. Tombs of the 3rd millennium BC feature metal vessels, jewelry, weapons, and pole finials of bulls, stags, as well as abstract forms often interpreted as solar symbols. Studies have shown that there are four layers of different cultures at Alacahöyük. These are the chalcolithic, Early Bronze Age, Hittite and Phrygian which are again divided into 15 distinct layers themselves. Excavation at the site resumed in 1994, and is now directed by Professor Aykut Çınaroğlu. Çınaroğlu said that with a team of 20 people, they were working on layers from the Bronze Age as well as the Hittite civilization. A nearly 4,000-year-old Bronze Age kiln has been found during these excavations in the ancient city of Alacahöyük in Turkey. It is an insulated chamber used as a type of oven. The kiln dates back to the Bronze Age. It’s the first kiln found in this area and is very well preserved. There’s been a dig at this location for over a hundred years and only 13% of the site has been uncovered yet. This finding, surely, will bring a new perspective to the ceramic production that is over an 8000 years old tradition in Anatolia. This entry was posted in Home on 2014/08/08 by admin. Turkishceramics is the promotion group for ceramic manufacturers and exporters in Turkey. Representing over 30 individual companies, the group’s mission is to raise awareness of Turkish ceramics internationally and communicate the quality of Turkish ceramic tiles and sanitary ware. Ceramic production in Turkey has a long history and rich tradition, with the first ceramics being created in Anatolia over 8000 years ago. Turkish ceramic producers are proud to continue this tradition of innovation today with a creative approach and a broad range of products for both the professional and consumer markets. Turkishceramics was established in 1997 under the auspices of the Undersecretariat of the Ministry of Economy with the support of the Central Anatolian Exporters Union and the Turkish Ceramics Federation.